It's your chance to get 6-inch scale, exquisitely detailed action figures! 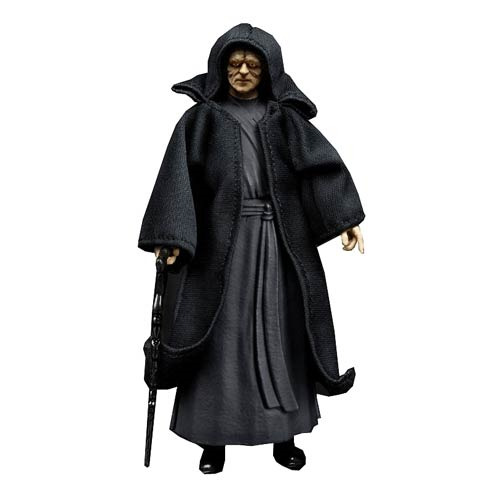 Bring the next big thing in Star Wars home with the Star Wars The Black Series Emperor Palpatine 6-Inch Action Figure. He includes a cane and even sports a cloth costume! Outfitted with tons of articulation and co-designed by Gentle Giant Studios, this is an action figure you won't want to miss. Ages 4 and up.